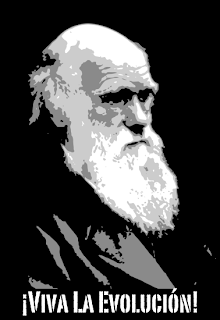 After visiting the Darwin exhibit at the Auckland Domain Museum, my brother made this spiffy image from a photo of Charles Darwin. At my insistence, he's rendered it wearable and there's still plenty of time to have it in hand before Darwin Day on February 12th! Now, how many links can YOU put in one blog posting?